For four days, we greeted each day where the sand meets the water. Well, actually, we greeted each day groggily, well before 6am because neither child found much comfort in their beds away from home. And we shuffled through the unfamiliar house, trying to keep little voices that can be quite big from waking every aunt and uncle and grandparent, as we collected towels and swim suits and beach toys. And then we left the house in search of breakfast. Chocolate chip pancakes for our girl, every morning, healthy doses of diner coffee for M and I, yogurt from a travel coffee cup for the baby. I’ve finally put faith in my girl’s process. I didn’t fret when she refused to go near the ocean that first morning. When she screamed in panic at the waves even while standing so far back that even the highest tide could not have reached her. Because, by the second morning, she was in. By the third, she was running and leaping into the waves that lapped the shore. And by the fourth, she claimed she didn’t need to hold our hands. And she didn’t want to leave. The rest of the trip was stressful. Traveling with an infant is stressful. Vacationing with family is stressful. Together, the experience becomes much more than just a change in location. 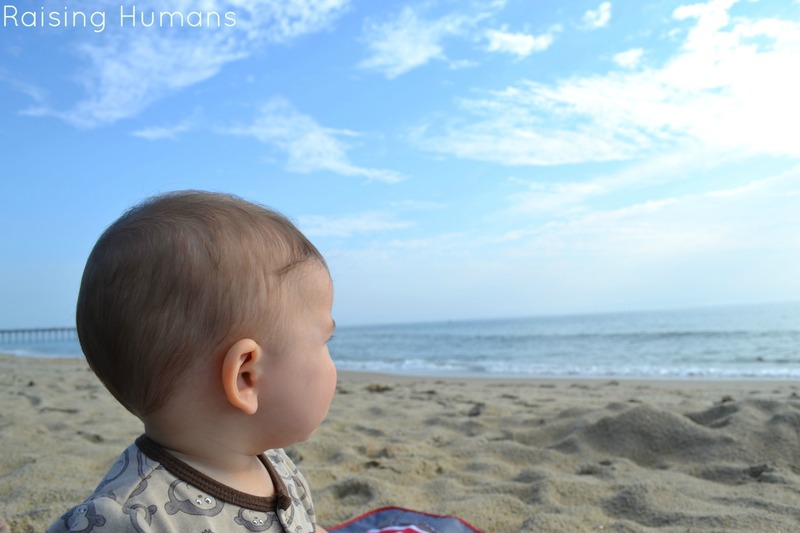 And the rest of our days were spent shuffling sleepy (and not so sleepy) children between naps, struggling to keep routines and rhythms when the sea breeze called for exactly the opposite, and trying hard to enjoy the moments that did not feel so enjoyable. But each morning, we started again with the sound of the waves as the sun rose in the sky. It was simple and peaceful. It was beautiful. 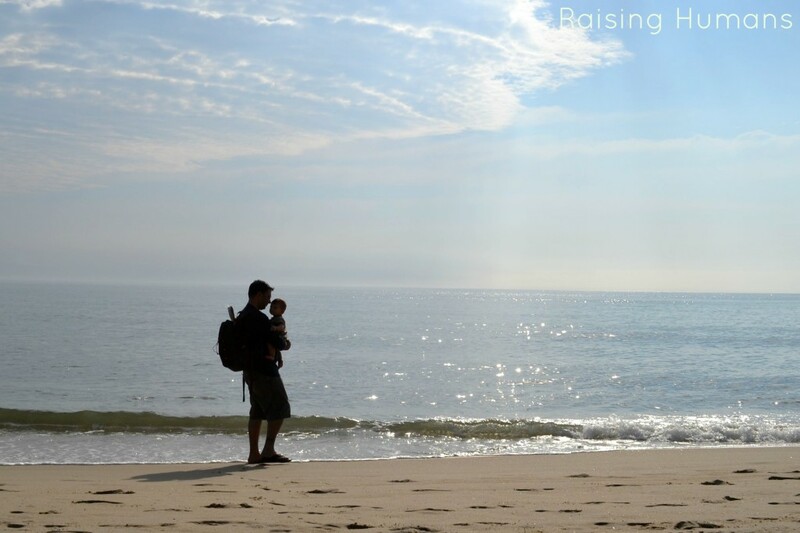 I breathed in those moments, standing ankle deep in salt and sand with baby boy’s head on my shoulder. Chasing the waves with my girl and daring them to catch us. 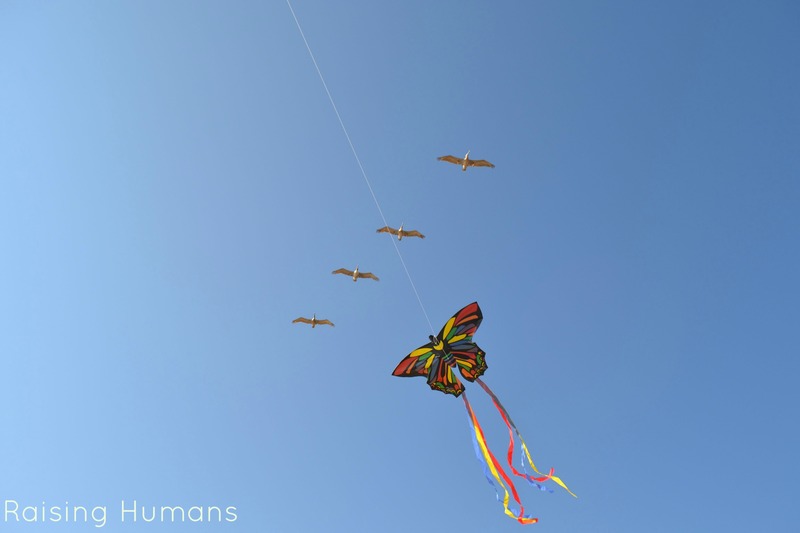 Watching our kite soar with the birds. And it was refreshing. To know that no matter what happened during the day – the not sleeping and the whining and the crying and all the rest – when the sun rose again, we’d have the waves and the sand and the sun. Vacation routines rarely survive the trip back home. I always try. But eventually they fade. Lazy mornings, whether at the beach or not, just can’t find their place in the everyday. But there’s something about these beach mornings that I want to keep. The four of us coming together. Quiet and peaceful. Just us. Starting fresh and shedding the tensions that came before. That is something to recreate. We had one quick trip to the Cape that I have yet to write about, but our beach vacation is coming soon. I love your words and photos here so much. I love the beach. 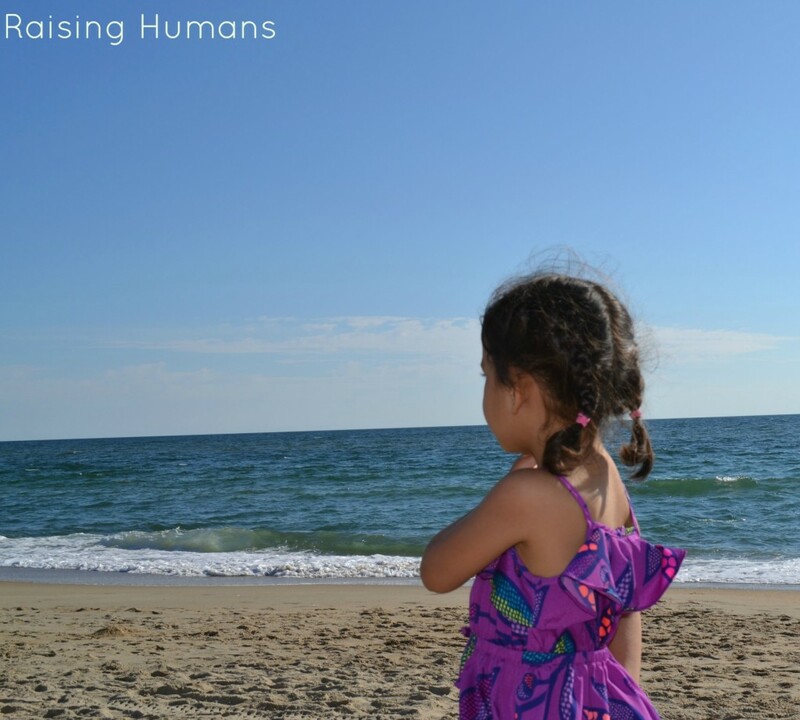 It’s amazing too how children need to take their time with the ocean. They will resist if you force them, but eventually, they can feel the magic. Beautiful pictures! I have so missed the beach this summer. And I so understand the stress of traveling with children (which has made me miss the beach a bit less…). I also identify so much with you describing your daughters process. Mine would have been the same way. Watch from afar, analyze, jump in. I think I am the same way too. 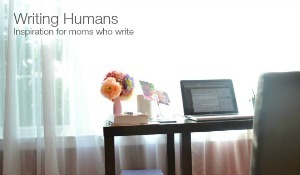 I, too, can relate to your daughter’s process. It is similar to mine, similar to my youngest’s; sometimes we just need a bit of time before jumping in. 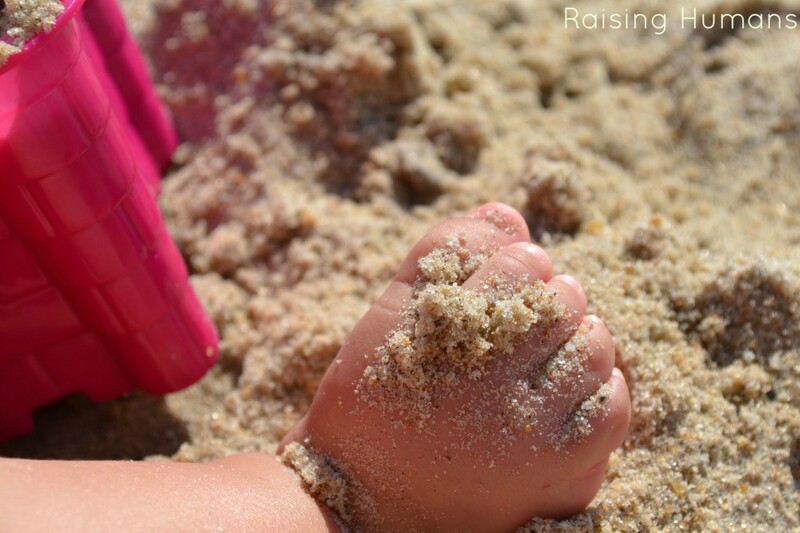 Gorgeous photos – time at the beach just says “summer,” doesn’t it? I love how your daughter came to learn and trust the ocean a little at a time, in her own time, and you let her go through this process without pushing. That’s awesome and something I wish I could remember more as a parent, to let kids do what they need to do for themselves in their own time, just as I do for me. Welcome back from the beach! 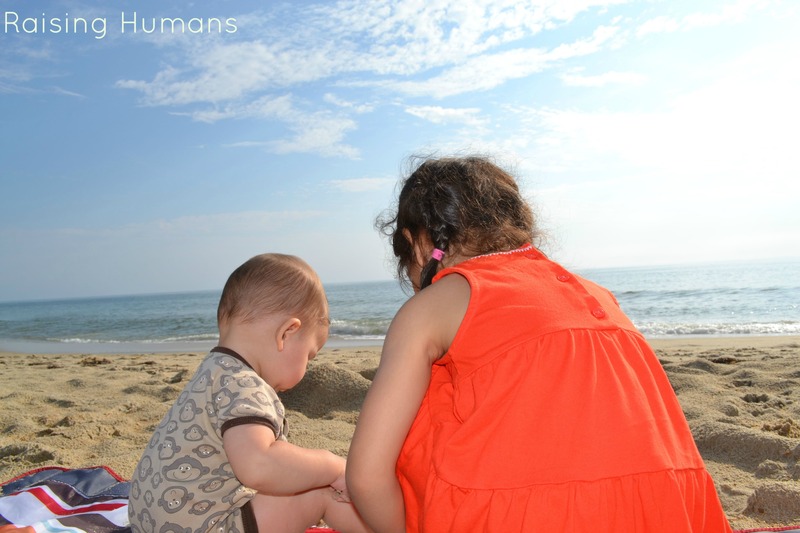 My kids are the same way – they learn to trust new things/people/situations little by little. I love your words Tricia and it’s like you’re speaking my mind. We just returned from an extended vacation and I’m really trying to preserve some of that summer special sauce. I mean, it wasn’t always sunshiny but there was something about waking up each morning at the beach and feeling like there was a clean slate to start and try anew. Really looking forward to the beach days again.